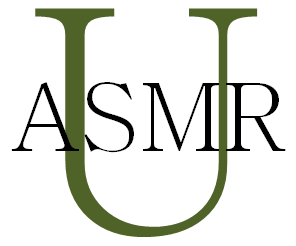 She was assigned a class project in her Psychological Testing course and she decided to focus her project on ASMR. After obtaining IRB approval and a faculty research supervisor, she forged ahead and has already finished collecting and analyzing her data. Could ASMR improve current medications for depression? There is a common frustration for patients using antidepressants for the first time. The antidepressants either take weeks to be effective or they may never be effective. The major reason for this has been a long standing mystery among clinicians. But a recent research finding may have uncovered a clear and logical cause of this problem. How long until ASMR is a proven therapy for insomnia, anxiety, or depression? It could still be a long time until ASMR is a clinician-recommended therapy for disorders like insomnia, anxiety, or depression. How long? Hard to say but a recent publication about the therapeutic use of yoga gives a valuable perspective to this timeline for ASMR. Could watching lots of ASMR videos be a symptom of sleep apnea? Two reasons some people watch lots of ASMR videos is to help them with sleep problems and/or depression. And although this may be helpful to some who have these problems, the cause of their sleep problems and depression may still need to be diagnosed so the underlying disorder can be best treated. Recent research in the Journal of Clinical Sleep Medicine demonstrated that sleep problems and depression are both common symptoms in people with sleep apnea. So what is sleep apnea? Rhys Baker is a first year journalism student at the University of Sussex, as well as a freelance writer and co-founder of the Hip-Hop brand theSTASHBOX. He is also one of the millions of individuals in the world who struggles with major depressive disorder. Rhys has experienced his depression since adolescence. He has tried several types of traditional and non-traditional therapies – but he was unable to achieve appropriate relief of his sadness. Then he stumbled across ASMR by participating in a research study a few months ago. He has written an article about how he has felt more relief for his depression via ASMR than from other methods. His story is not scientific evidence of the therapeutic value of ASMR. His story is an anecdote, one expressed often on the internet, of how he feels ASMR helps him. A thousand anecdotes does not create a fact, but a thousand anecdotes should catch the attention of researchers. I share his story because it is one of many that should help to motivate researchers to pursue scientific investigations into the potential value of ASMR for health disorders. I interviewed Rhys and he shared the history of his depression, how he learned about ASMR, what he would say to a room full of researchers, and more. Below are my questions in bold, his replies in italics, and a link to the story he wrote about his depression and his discovery of ASMR.